Dr. Rebecca Mercuri has been referred to as "one of the leading international experts on electronic voting." A technology specialist, Rebecca defended her doctoral dissertation "Electronic Vote Tabulation: Checks & Balances" at the Engineering School of the University of Pennsylvania, just eleven days before the 2000 U.S. Presidential election. Subsequently, her testimony and opinions were sought in Bush v. Gore and referenced in briefs presented to the U.S. Supreme Court. In 2002 she was contacted by Janet Reno and her legal team to help solve the mystery of the thousands of votes that vanished from the new touch-screen machines being used in Miami-Dade and Broward Counties. Since then, Dr. Mercuri has provided formal testimony and comment to the House Science Committee, the U.S. Commission on Civil Rights, the Election Assistance Commission, the National Institute of Standards and Technologies, the U.K. Cabinet, and numerous U.S. state legislatures. Her advocacy work has directly influenced the wording of state, federal, and international election legislation as well as standards and best practices guidelines. Dr. Mercuri has observed elections as a scientist, expert witness, poll-worker and committeewoman in numerous U.S. States, for over two decades. Many of Rebecca's views and numerous of her papers on electronic voting appear on her website. She authored the Security Watch column for the Communications of the Association for Computing Machinery, where she also served as a contributing editor from 2002-2008. She has been frequently quoted in the New York Times, the Economist and the Wall Street Journal, by the Associated Press, in the Congressional Record, and various other venues, including TV appearances on Fox News, NBC Nightline, a debate on Lou Dobbs, and numerous radio features including NPR's Morning Edition and This American Life. A true renaissance woman, Rebecca has a deep commitment to artistic endeavors. As a board member of the Delaware Valley Acoustical Society and the Philadelphia Audio Engineering Society, her interests in music have included: owning a vintage RCA theremin; presenting history talks about music synthesis; hobby and emergency activities in amateur radio; research in directional hearing and room simulation; development and marketing of interactive software in music education for Notable Software; and occasional assistance in live sound reinforcement with her brother's company, Keystone Studios. 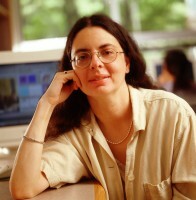 In addition to her Ph.D., Dr. Mercuri holds various degrees in engineering and computer science from the University of Pennsylvania, Drexel University and Penn State, as well as a B.Mus. in classical guitar from the University of the Arts, and honorary alumna status at Harvard/Radcliffe. A member of the Philadelphia Folk Song Society, a soprano in the Princeton Society for Musical Amateurs, and a card-carrying affiliate of the Musician's Union, Local 77, she can often be found enjoying and participating in the festivities at numerous folk festivals, during the summer months. Following two fellowship years at Harvard University's Kennedy School of Government and Radcliffe Institute, Dr. Mercuri returned to the consulting company she founded, to continue her work as a forensic computing expert on a wide range of civil, municipal and criminal cases. She is a senior life member of the Association for Computing Machinery, a co-founder and co-chair of the professional joint chapter of the Princeton ACM/IEEE Computer Society, and a senior member of the IEEE and member of the executive board of its Princeton / Central Jersey Section. Department of Computing Sciences Colloquium, Villanova University, April 24, 2006. Computer Science & Engineering Department Seminar Series, Lehigh University, November 10, 2005. University of South Florida, Tampa, FL, September 20, 2004. Technology and Society Forum Series, New Jersey Institute of Technology, New Brunswick, NJ, September 23, 2004. Providence Section of the IEEE, Seekonk, MA, September 28, 2004. Distinguished Lecture, Arizona Center for Information Science and Technology, University of Arizona, Tucson, AZ, Dec. 8, 2004. Delaware Valley Mensa, Conshohocken, PA, January 9, 2005. Electronic Voting in Massachusetts: Problems and Prospects conference, Suffolk University Law School, Boston, MA, February 28, 2004. Voting in an e-Democracy, Symposium sponsored by the Yale University Faculty of Engineering and the Yale Office of New Haven and State Affairs, New Haven, CT, April 2, 2004. Haverford League of Women Voters, Haverford, PA, May 25, 2004. Keynote, Il Votobit, Leon, Spain, October 7, 2004. Princeton University School of Engineering, Princeton, NJ, October 14, 2004. West Chester University, West Chester, PA, October 21, 2004. W.M. Keck Foundation, Interdisciplinary Science Lecture, Lewis & Clark College, Portland, OR, October 25, 2004. Co-organizer and Panelist, “New Standards for Elections: A forum on technical and non-technical requirements for voting systems,” Radcliffe Institute for Advanced Study, Harvard University, Cambridge, MA, February 12, 2005. Panelist, “The Machinery of Electronic Voting,” 31st Asilomar Microcomputer Workshop, Asilomar, CA, April 20, 2005. University of Cambridge, Security Seminar Series, Cambridge, England, October 18, 2002. Williams College, Class of 1960’s Scholar’s Colloquium, Computer Science Department, Williamstown, MA, November 21, 2003. Connecticut-Trinity-Wesleyan Computer Science Consortium, Spring 2004 Joint Colloquium Series, Hartford, CT, April 21, 2004. Center for Education and Research in Information Assurance and Security, Purdue University, West Lafayette, IN, April 23, 2004. Department of Mathematical & Natural Sciences, Lewis & Clark College, Portland, OR, Oct. 26, 2004. Math Options, Pennsylvania State University, Abington, PA, October 24, 2003. Villanova University, guest lecture, CSC 2500 – A Survey of Information Science, Villanova, PA, March 11, 2004. 29th Trenton Computer Festival, Keynote Address, New Jersey Convention Center, Raritan Center, Edison NJ, May 1, 2004. Radcliffe Institute for Advanced Study, Cambridge, MA, November 29, 2004. Marshall D. Abrams Invited Essay, 20th Annual Computer Security Applications Conference, Tucson, AZ, December 9, 2004.
electro-music 2005, Cheltenham, PA, June 5, 2005. Co-organizer and panelist, Princeton ACM/IEEE-CS, Philadelphia AES, Delaware Valley Acoustical Society of America, Sarnoff Center, Princeton, NJ, April 20, 2005.
electro-music 2006, Cheltenham, PA, June 6, 2006. "Challenges in Forensic Computing," (PDF) Rebecca T. Mercuri, Security Watch, Communications of the Association for Computing Machinery, Volume 48, Number 12, December 2005. "Trusting in Transparency," (PDF) Rebecca T. Mercuri, Security Watch, Communications of the Association for Computing Machinery, Volume 48, Number 5, May 2005. "The Many Colors of Multimedia Security," (PDF) Rebecca T. Mercuri, Security Watch, Communications of the Association for Computing Machinery, Volume 47, Number 12, December 2004. "The HIPAA-potamus in Health Care Data Security," (PDF) Rebecca T. Mercuri, Security Watch, Communications of the Association for Computing Machinery, Volume 47, Number 7, July 2004. "Superscaled Security," (PDF) Rebecca T. Mercuri, Security Watch, Communications of the Association for Computing Machinery, Volume 47, Number 3, March 2004. "Standards Insecurity," (PDF) Rebecca T. Mercuri, Security Watch, Communications of the Association for Computing Machinery, Volume 46, Number 12, December 2003. "On Auditing Audit Trails," (PDF) Rebecca T. Mercuri, Security Watch, Communications of the Association for Computing Machinery, Volume 46, Number 1, January 2003. "Florida 2002: Sluggish Systems, Vanishing Votes," (PDF) Rebecca Mercuri, Inside Risks, Communications of the Association for Computing Machinery, Volume 45, No. 11, November 2002. "A Better Ballot Box?," (PDF) Rebecca Mercuri, IEEE Spectrum, Volume 39, Number 10, October 2002. "Computer Security: Quality rather than Quantity," (PDF) Rebecca Mercuri, Security Watch, Communications of the Association for Computing Machinery, Volume 45, No. 10, October 2002. "MIT vs Mercuri," Rebecca Mercuri, The Risks Digest, ACM Committee on Computers and Public Policy, Volume 22, Issue 26, September 25, 2002. Archived at: http://catless.ncl.ac.uk/Risks/22.26.html. "Florida Primary 2002: Back to the Future," Rebecca Mercuri, The Risks Digest, ACM Committee on Computers and Public Policy, Volume 22, Issue 24, September 11, 2002. Archived at: http://catless.ncl.ac.uk/Risks/22.24.html. "Explanation of Voter-Verified Ballot Systems," Rebecca Mercuri, ACM Software Engineering Notes (SIGSOFT), Volume 27, Number 5, September, 2002. Also published in The Risks Digest, ACM Committee on Computers and Public Policy, Volume 22, Issue 17, July 24, 2002. Archived at: http://catless.ncl.ac.uk/Risks/22.17.html. "Humanizing Voting Interfaces," Rebecca Mercuri, Usability Professionals Association Conference, Orlando, FL, July 11, 2002. "Security by Obscurity," (PDF) Rebecca T. Mercuri and Peter G. Neumann, Inside Risks, Communications of the Association for Computing Machinery, Volume 46, Number 11, November 2003. "Uncommon Criteria," (PDF) Rebecca Mercuri, Inside Risks, Communications of the Association for Computing Machinery, Volume 45, Number 1, January 2002. "The FEC Proposed Voting Systems Standard Update," a detailed comment by Dr. Rebecca Mercuri, submitted to the Federal Election Commission on September 10, 2001 in accordance with Federal Register FEC Notice 2001-9, Vol. 66, No. 132. "System Integrity Revisited," (PDF) Rebecca T. Mercuri and Peter G. Neumann, Inside Risks, Communications of the Association for Computing Machinery, Volume 44, No. 1, January 2001. This was reprinted in the CPSR Newsletter, Winter 2001, Volume 19, No. 1. "Internet and Electronic Voting," Peter Neumann, Rebecca Mercuri, Lauren Weinstein, The Risks Digest, ACM Committee on Computers and Public Policy, Volume 21, Issue 14, December 12, 2000. Archived at: http://catless.ncl.ac.uk/Risks/21.14.html. This article was also printed in ACM's Software Engineering Notes (SIGSOFT), Volume 26, No. 3, March 2001. "Voting Automation (Early and Often? )," (PDF) Rebecca Mercuri, Inside Risks, Communications of the Association for Computing Machinery, Volume 43, No. 11, November 2000. "Electronic Vote Tabulation Checks & Balances," (PDF) Ph.D. dissertation, defended October 27, 2000 at the School of Engineering and Applied Science of the University of Pennsylvania, Philadelphia, PA.
"Corrupted Polling," (PDF) Rebecca Mercuri, Inside Risks, Communications of the Association for Computing Machinery, Volume 36, No. 11, November, 1993. "Threats to Suffrage Security," Rebecca Mercuri, 16th National Computer Security Conference, September, 1993. "The Business of Elections," (PDF) Rebecca Mercuri, 3rd Conference on Computers, Freedom and Privacy, March, 1993. "Voting-Machine Risks," (PDF) Rebecca Mercuri, Inside Risks, Communications of the Association for Computing Machinery, Volume 35, No. 11, November, 1992. "Physical Verifiability of Computer Systems," (PDF) Rebecca T. Mercuri, 5th International Computer Virus and Security Conference, March, 1992.